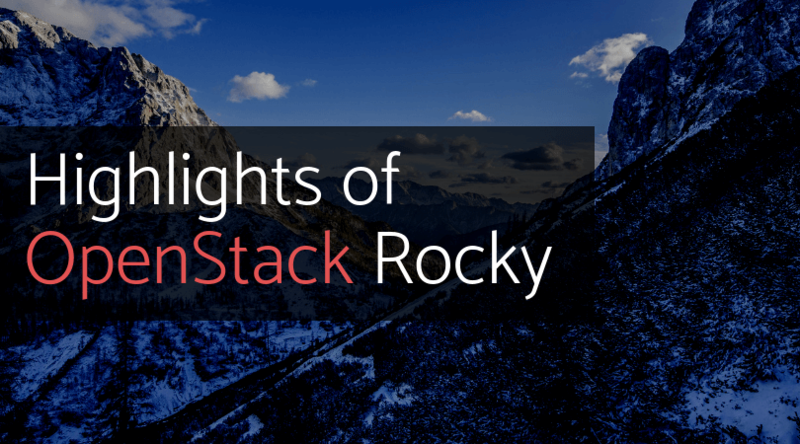 You’ve most likely heard at least some whispers of OpenStack’s latest release, Rocky. With high-impact features and enhanced upgrades, we’re ecstatic about this robust release. Here are our main takeaways from the news and some resources you’ll hopefully find helpful as you evaluate how to move your organization onto this latest-and-greatest technology. Our CEO Mohammed can be heard on the release webinar around minute 13 with some of his thoughts on the most interesting parts of the release and how it’s impacting our operations and capabilities here at VEXXHOST already. Nova now offers security enhancements for those using Glance signed images with the libvirt compute driver, improvements to minimize network downtime during live migrations, and the placement service now supports granular RBAC policy rules configuration. In the networking project, logging on firewall events is now supported, multiple bindings for compute owned ports, and newer versions of liberswan 3.19+. Among others, some crucial updates to Swift are improved performance of many consistency daemon processes, added container sharding, and the addition of an S3 API compatibility layer, so clients can use S3 clients to talk to a Swift cluster. Cinder updates include improved backup functionality/performance, better control for administrators over the placement of volumes, security improvements when creating volumes from signed images, and improved UX when recovering from storage system failures. Read on for more info on the OpenStack cloud solution services that can allow you to focus on what you do best. This release also features new projects such as Qinling which we are excited to implement in the future, especially considering our position as the first cloud provider to be running Rocky in our new Silicon Valley region datacenter. When you’re ready to explore the new features of the powerful release, it’s important to try the vendors who you trust to keep your data safe and your operations running smoothly. Sign up to the OpenStack Passport Program if you’d like to request a free trial of the service and start managing your cloud infrastructure with less stress.